← Frequently Asked Questions: What is an EMG or NCS? John Peloza, M.D. and Michael J. Musacchio, Jr., M.D., FAANS are the first in the United States since FDA approval to use the coflex® Interlaminar Technology, a motion preserving, minimally invasive treatment for people with degenerative spinal stenosis. The first case was done November 5, 2012 at the Institute for Minimally Invasive Surgery in Dallas. For patients with lumbar stenosis or spondylolisthesis, which are both very painful conditions, this is a welcome and much awaited treatment. Stenosis is a painful condition caused by narrowing of the spinal canal, which puts pressure on the nerves causing pain in the groin, buttocks and down the leg. Spondylolisthesis is when one vertebra slips forward over the vertebra below it. Most often, this happens in the lower back because that part of the spine bears excess weight and absorbs significant directional pressures. 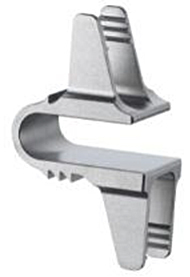 The coflex device is used in conjunction with decompression treatment and provides stabilization to the spine and a unique “flexion” design that helps provide patients with more mobility. Until now, the standard treatment has been spinal fusion which can limit movement. Since 1996, the Center for Spine Care has been on the forefront of many of the most modern, minimally-invasive technologies currently used to treat patients with back or neck pain. Utilizing these technologies as well as clinical research data provided on all of their treatments and procedures, CSC is able to diagnose and offer patients options based on this evidence based research.